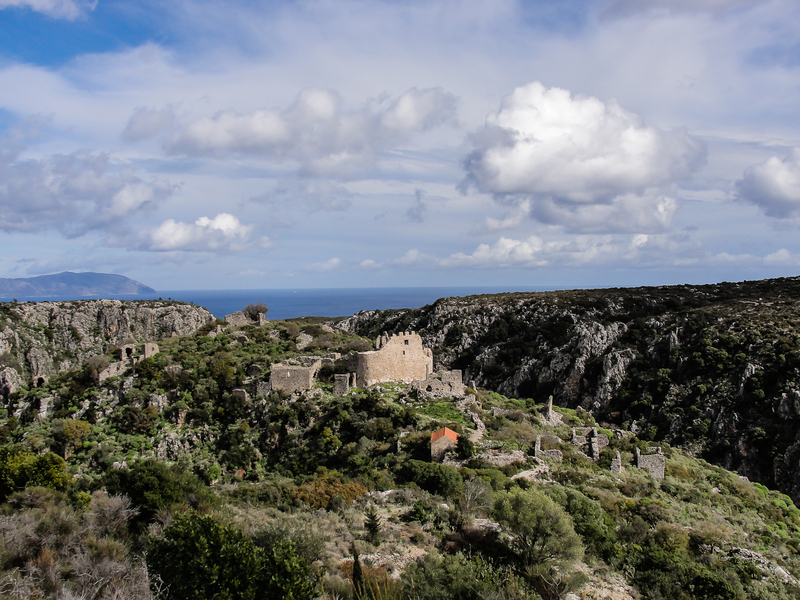 The ruined Byzantine castle that was once the capital of the island, from Monemvasia built around 1200 and was named the city of St. Demetrius. It is a natural fortress with a deep canyon with rocks in the colors of ash and red. Within this castle, founded by the family Evdemonogiannis, built many churches today is dilapidated sections with frescoes. The state destroyed by Hajredin Barbarosa in 1537 and since then never inhabited anymore. 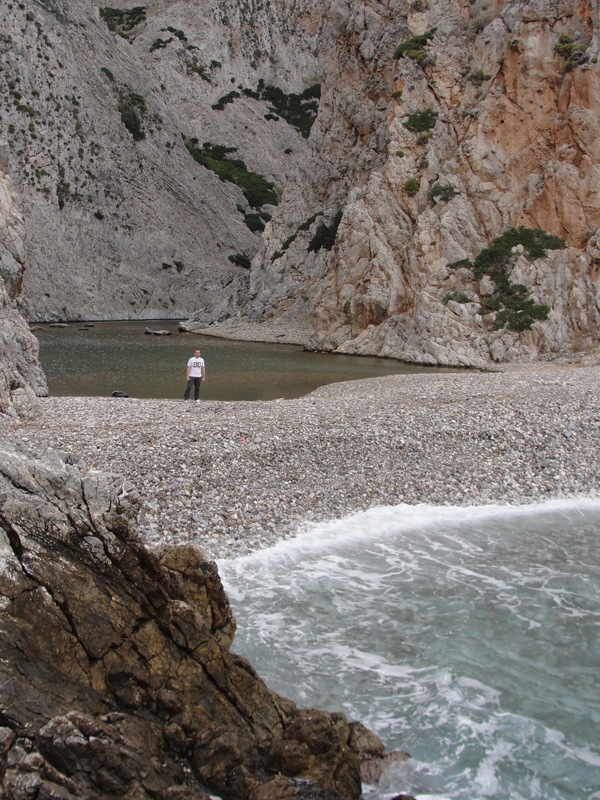 The Paliochora is a natural fortress almost invisible from the sea, a rock of € 216m, a place of martyrdom for Kythira.